Check out the other Thor figures from Funko! 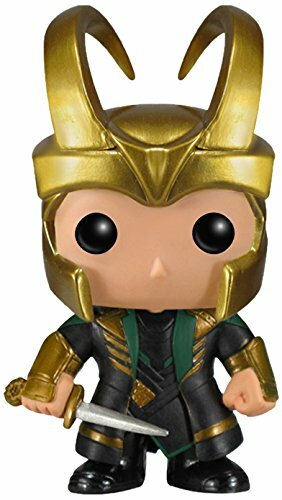 The Thor The Dark World Helmet Loki Marvel Pop! Vinyl Bobble Head features theantagonist from the original Thor: The Dark World film as a 3 3/4-inch tallbobble head. Rendered in the adorable stylized Pop! Vinyl figure form, Lokiappears with helmet as he does in the Thor: The Dark World film and looksabsolutely fantastic. Ages 14 and up.